MSH-Europe is a Greece based company. It operates in and outside Greece offering services and equipment for tours, corporate and special events, social events, exhibitions, theatrical, TV and cinema productions. We maintain our effective services at high professional level, at a reasonable cost, so that our customers get the maximum of satisfaction. Using their high level skills, our staff can successfully contribute to absolutely satisfying our customer needs. 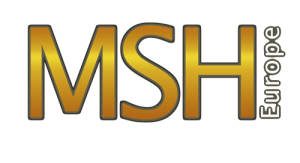 MSH-Europe works over a wide area if disciplines including, light, sound, video as well complete packages for the successful coverage of multifaceted projects. We stock fine-state and up-to-date audio, visual, projection equipment, rigging and all the type of equipment that makes the work of our customers stand out.